So, finally, the black is back on track. Yup, You are right. I am actually referring to Black Friday-the day for the sales to boom! The event will last for a period of 3 Weeks-starting from 14 December onward to December 3(inclusive). Believe me, the event is very pleasing from the perspective of using your wallet so often as you can buy bulk products at amusingly low prices! Actually, Friday will mark a historic event in the course of the company’s growth. In order to make sure nothing goes wrong, you will need a short-guide book to help you. 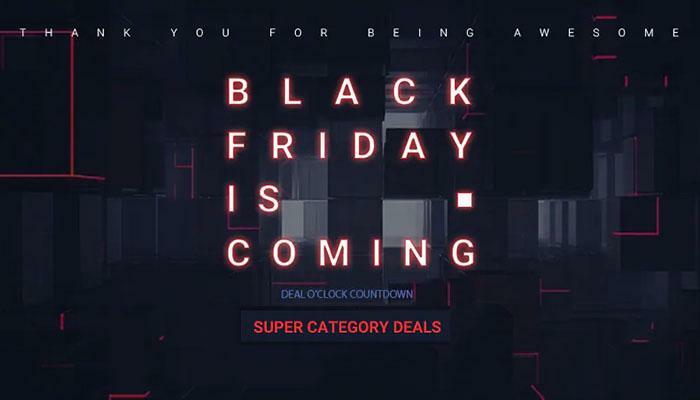 GearBest’s legendary Black Friday promotion is all set to kick on! The Mammoth event will sweep you off your feet. There are numerous discounts and deals flying across the air -that is beyond your imagination. Just grab one of them before the time runs out. We are here to give you full details of the event to help you scheme your plan for the big day. When does the GearBest Black Friday Sale take place? There is no shortage of Deals this year. In addition, you will also have some surprises coming along your way. The company is doing that with an intent to build a large fan base. Your gonna admire the drastic price drop. Pre-order Sale: Triple Growth Multiplier for Deposit payments are the easiest way to save money on GB! 5 Days Arrival: Ultra Fast Shipping Deals for customers shopping our France, Spain, Poland, and Czech warehouses will save $10 over $88 orders. Lucky bag avalanche: Lucky Bags are back, just like Black Friday, with deals from $0.99 to $69.99; the contents of each bag are always worth much more than the price you pay. Triple Saver Special is always a fan favorite: pay just $9.99 for any three items or $49 for any three. Want more? There’s also a Fab Fall Fashion Sale, Outdoors & Toys Sale, Perfect Home Appliances Sale, Top Brand Deals, and Top Stores Deals. Main Black Friday page: It’s literally too big to fit into this guide. Computer & Officer Gear: Geek out on tech savings, including $100 off $500 and a Mi Box for $55.99. 24H Flash Sale featuring our Top 12 All-Time Bestsellers at their lowest EVER prices. Powerhouse Phones: Connect with unstoppable deals on OnePlus 6T, Xiaomi Mi 8, and much more. Consumer Electronics: Get them for less, including Mi Band 3 for $9.99 and other cool techs. Main Cyber Monday: We looked up crazy in the dictionary and found this sale. RC Drones & 3D Printers including RC Drones from $9.99 and 3D Printers at $99.99. Home Gadgets & Lighting is full of the sparkling deals to light up your home with. Gearbest has a huge fan following- and this is now an established fact. They provide loyal service to their customers with big buck saving promotions. So what are you waiting for for-Grab the gear you’ve always wanted. When it comes to sales, always rely on the BLACK.